Spring on the Cape and Islands is magical. Come visit, and we think you will agree. Here are twenty reasons why we love spring on Cape Cod, Nantucket & Martha’s Vineyard. Peace and Quiet. Fewer visitors in the spring means less traffic, more space on the beach, and no lines to wait in. The quiet pace allows for a truly peaceful and restful vacation. It’s Blooming Beautiful! Crocuses, snowdrops, rhododendrons, magnolias - these colorful flowers are blooming all over the Cape and Islands in the spring, and their colors are vibrant. A welcome sight after a long winter! Tweet, Tweet. Although we have many birds that stick around for the winter, the skies come alive in the spring as migrating birds head north for the summer. With fewer people around and less vegetation, it’s a perfect time here for birding enthusiasts! Birdwatching for Beginners. A Spring in Your Step. As warm weather descends on the Cape and Islands, so does the desire to be outside. The spring is the perfect time to take advantage of the abundance of nature walks in the area by hiking one of the many trails. Hiking and Walking Trails. Hole in One. Golfing on the Cape and Islands is fantastic in the spring. The weather is mild, greens fees are reduced, and plenty of tee times are available. View all Cape Cod and Islands Golf Courses. Springtime Savings. Save on rental rates. Vacation rental rates in the spring are a fraction of the cost of summer rental rates. For example, a 3-bedroom waterfront home in Wellfleet rents for $1700 a week during the spring. In summer, the rate jumps to $4000. Additionally, vacation rentals are more likely to be available on a nightly or weekend basis as opposed to the 7-night minimum stay that most homes require in the summer. 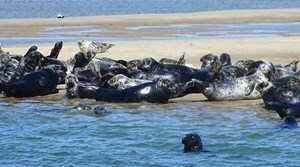 Find a Cape Cod Vacation Rental. The Herring Run. Watching the herring as they travel up rivers to return to their place of birth and spawn is a miracle of nature, and one of the best viewing spots is the Stony Brook River located in Brewster. Learn more about the Herring Run in Brewster. Bon Appetite. The arrival of spring means many of our local restaurants that close for the winter are opening up. Additionally, many restaurants offer spring specials! Browse where to dine on Cape Cod. Jeepers Peepers. The trilling sounds of peeper frogs, or “pinkletinks” as they are called on Martha’s Vineyard, are a sure sign spring has arrived and are music to the ears. Wheelin’ Around Town. The chill in the air is gone! It’s time to climb on a bike and feel the breeze in your face! The Cape Cod Rail Trail is a wonderful way to tour the Cape, and get a little exercise! 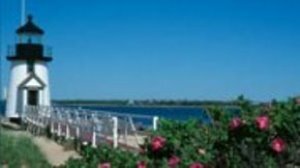 Learn more about the Cape Cod Rail Trail. Casting Call. Fishing on the Cape and Islands in spring is not to be missed. Fish in the freshwater or saltwater, or both! There is an abundance of blues, trout, tuna, and bass. Spring is a great time to cast a line. Springtime is Winetime! Spring is here and that means local vineyards and wineries are open. So plan a spring getaway, and taste the local wines. Find wineries and breweries. Woof, Woof. Bring your dog on vacation this spring. 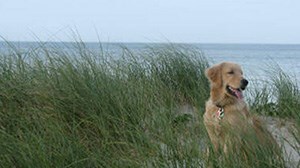 Many of our listings are pet friendly and in the spring, most of our beaches welcome dogs! Learn more about family vacations with pets. A Whale of a Good Time. Whales come to the warmer waters of Cape Cod in the spring to feed on mackerel, herring, and krill. Book a whale watch for the spring, and there is an excellent chance you’ll see the largest animal on earth. Find a Whale Watch. Green Thumbs Up! Dust off those gardening tools, spring is when the ground thaws so you can prepare soil for planting. What tastes better than something you’ve grown with your own hands? Seashells by the Seashore.There is no better time than spring to search for the seashells and seaglass that have been tossed up onto the beaches from the winter storms. Come visit in spring and get first dibs on seashells and seaglass! 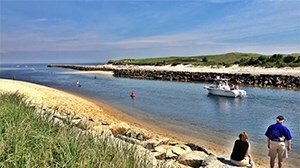 View all Cape Cod beaches. Daffodils, Daffodils, Daffodils. Visit the Cape and Islands in April and prepare to be amazed by the blooming. Enjoy two festivals centered around the daffodil: Brewster in Bloom and the Nantucket Daffodil Festival. View Daffodil Festivals. Meep, Meep—Road Runner! Warm-up and hydrate, it’s time to race! June sees the beginning of many road races throughout the Cape and Islands. Compete with other runners and take in the beautiful scenery while you do so! Check out these Road Races. Ahoy, Captain! Celebrate the Cape’s rich maritime history during Cape Cod Maritime Days in May. The month-long event showcases a variety of Cape-wide maritime-themed activities, including guided kayak excursions, lighthouse & walking tours, nautical art exhibits and more. Here is the schedule of events. Just breathe. Ah, it’s finally that time when you can turn off the heater (and still have plenty of time before you need to turn on the a/c!) Open your windows wide and breathe in that salt air. It’s what we wait all year for!